Small dog breeds go back centuries and the Pug history is one of the more interesting ones. Although no one knows for sure exactly how old the Pug is, we know that it dates back at least 2,400 years and originated in China. Obviously the dog has changed since then because of different breeding programs throughout the centuries, but there are references to short-nosed dogs that sound like a Pug going back to 400 years Before the Common Era. 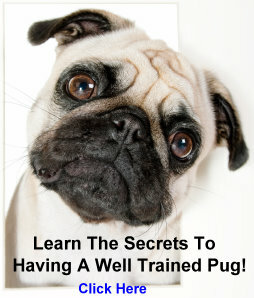 It is interesting to note the history of various dog breeds and the Pug is certainly one of the more fascinating ones. You’ll find his history is quiet distinguished and he was quite the favorite of royalty and even some religious orders. And why not? They’re awfully cute! Pugs Are Very Popular in England. These cute little dogs became quite a favorite with the upper class. They do have a regal bearing, don't they? It is no wonder that this adorable little dog enjoys a worldwide popularity. They are cute, playful, lovable and make the most loyal companion you can find. It's not surprising that when you review the list of names that people have come up with for their Pug that is becomes quite an interesting study. Certainly owners choose a name based on the characteristics of their little friend but, quite often, they choose a name after learning a little bit about the history of this popular breed. When you consider that Pug history is linked to royalty, the naming of your dog takes on increasing importance. Obviously, the most important history is your personal one. 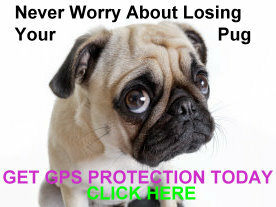 You will want to keep an accurate record of all medical information as well as any pedigree information your breeder or pet store has given you. You might also want to keep a scrapbook about your dog. Many people do. Pictures can be a part of your own Pug history. It's very nice to take a look at photographs of your dog through the years so make sure to take lots of pictures. They grow up very quickly!